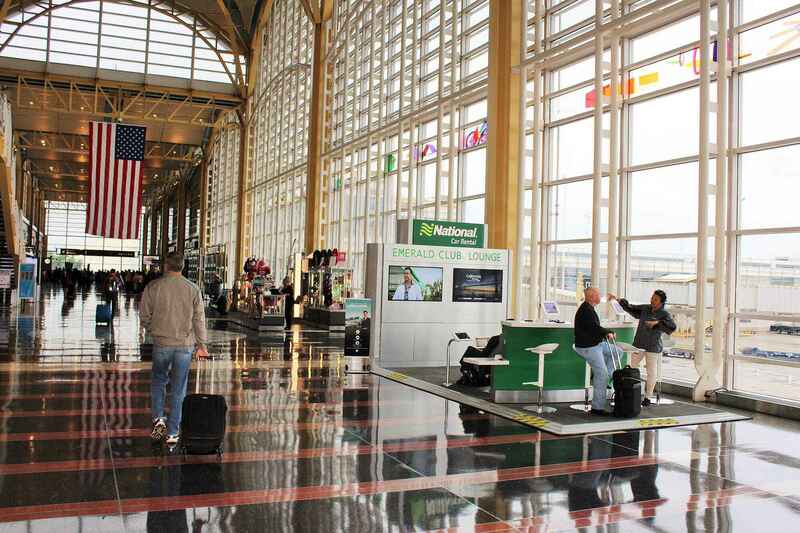 National Car Rental, headquartered in Clayton, Missouri, is an American rental car agency with locations all over the world. 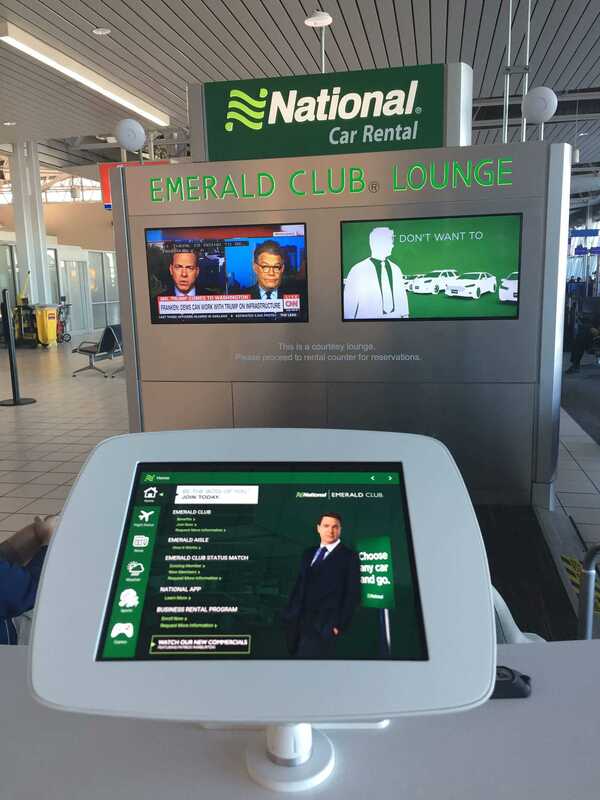 National Car Rental wanted to build their Emerald Club brand awareness, while providing customers with a unique travelling experience. 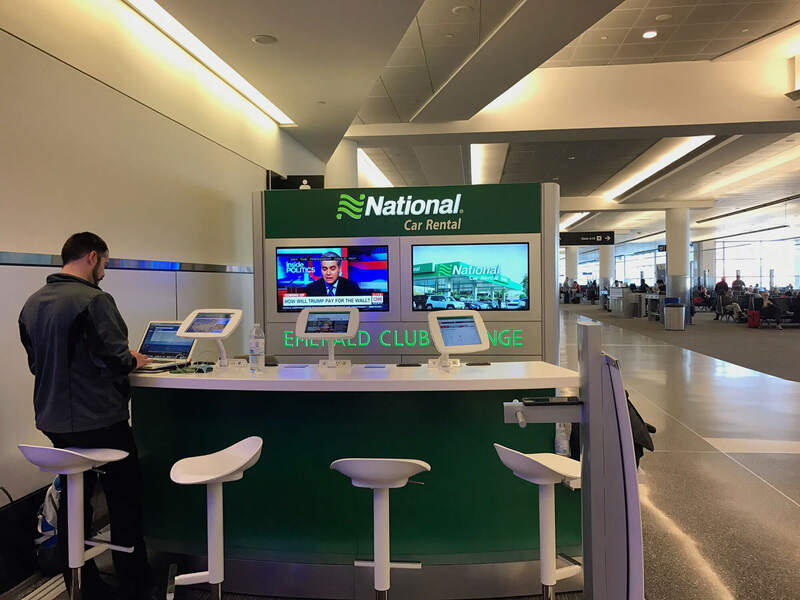 5 in rotation at airports across the U.S.
We created the National Car Rental Emerald Club courtesy lounge, a mobile booth set up behind security as a “mini” airport lounge experience for National customers and prospective customers. The build solution was a unique challenge. First, all amenities offered had to have ADA at the forefront of the design. Engineering took precedence in order to gain necessary approvals from governing airports. The key to success was tied to development of amenities: a mobile application tablets, digital signage for marketing messages, integration of live TV, incorporating audio for travelers, ultimately building brand awareness. In addition to building the units, we managed the back-channel details that brought the experience to life, including logistics, airport installation, coordination of fiber optics access, development of WiFi networks, and tech support. 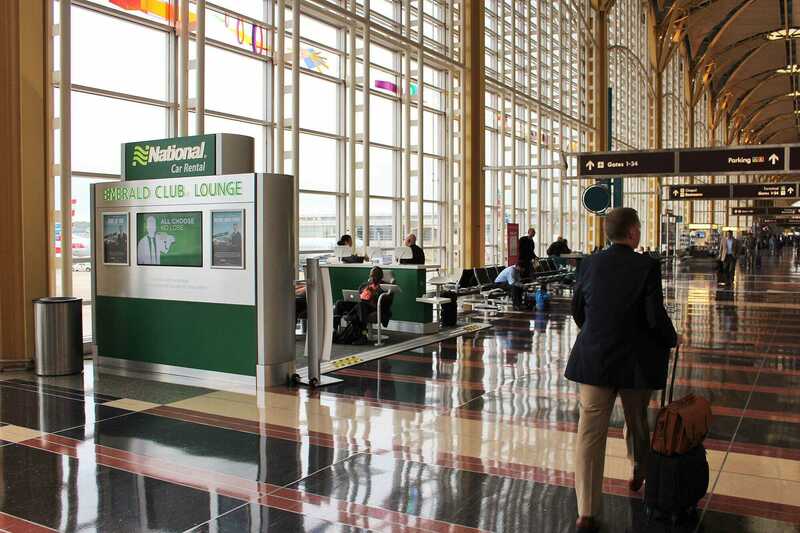 The lounge was deployed to five airports over several months, and then efficiently packed and shipped to a new location for continued use.